Entrepreneurs of all kinds have a hard time saying “no” to lots of things, but perhaps the hardest thing to turn down is new business. Agency leaders spend (or should spend) a good chunk of their time looking to grow the business. That means expanding existing engagements and finding new clients. So when you have someone ready and willing to spend money with your agency, it’s very difficult to decline the opportunity. But every agency must be ready to say “no” to new business from time to time. One of the most destructive things an agency leader can do is to underprice a project. Many agency business development pros seem to think that if they can just get the foot in the door with a client – even on a “loss leader” project – they can turn it around by growing the engagement down the road. If I sell widgets, build a website, or run a product launch campaign for X dollars today, the client will expect that I will continue to sell at that price tomorrow. Even if you tell them that they’re getting a sweet introductory deal, they will still resist paying more in the future. If you know a piece of business won’t be profitable, don’t take it. You need to know the vision and focus of your agency – and stick to it. That means walking away from business that doesn’t fit with that focus. Particularly in the early days, there’s an instinct to say yes to anything that will grow revenue. After all, there are expenses that need to be met. But doing so means that you aren’t building your relevant experience, cultivating your core competencies, and establishing your reputation for the kinds of success you want to have. It may hurt in the short-term to walk away from a project that puts money in the bank today, but if it holds you back from future success, would it really be worth it? “Sure, we can do that” is a refrain that most agency owners are familiar with. After all, who wants to see a client start a relationship with another agency that could end up being competitive for the core business? But you set yourself up for failure – and put the entire engagement at risk – if you agree to do work that isn’t in your wheelhouse. You need to know what you do well and stick to it. Execute with excellence on your strengths. Even at the prospect stage, it is often possible to identify clients who are likely to be more trouble than they are worth. Weed them out as soon as possible. Clients who do not treat you and your team with respect during the business development process won’t suddenly change their tune once they start paying you money. Abusive clients demoralize staff, waste valuable resources, drain executive mindshare, and erode profitability. Don’t let them burrow in and infect your agency from within. If you don’t believe in your client’s cause or product, you’ll have a hard time representing them well. Most of us are quick to turn away that kind of new business. But what about the client who is perhaps too interested in cutting corners or may have different ethical standards? Take advantage of the business development process to get to know your prospective client and understand how they think and the decisions they will make once they engage your agency. Trust your gut here. If the prospect makes you feel uneasy during this stage, it’s only likely to get worse when the pressure of performance mount. It may be one of the hardest things you do as an agency leader, but walking away from an opportunity for any of the reasons here will actually make your business stronger. The business development process is as much about you screening clients as it is about clients screening you. 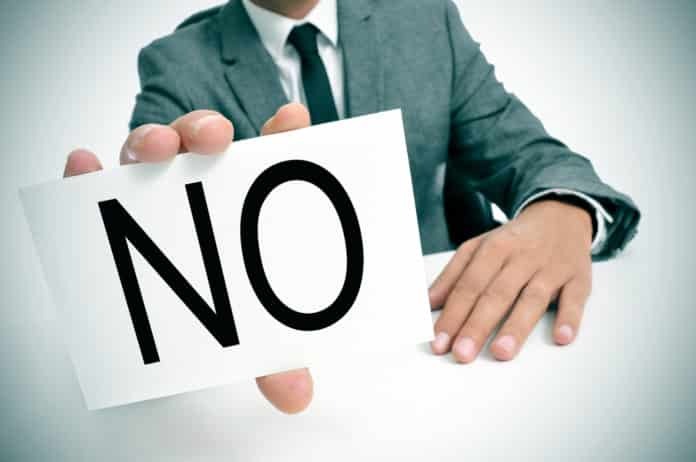 When you start to think about it in those terms, it gets much easier to say “no” to bad new business.